Weather had perked up a bit so we rode along the coastal Coorong national park of Mr Percival the Pelican fame. Glorious roads with little to no traffic. tradition the Big Thing. 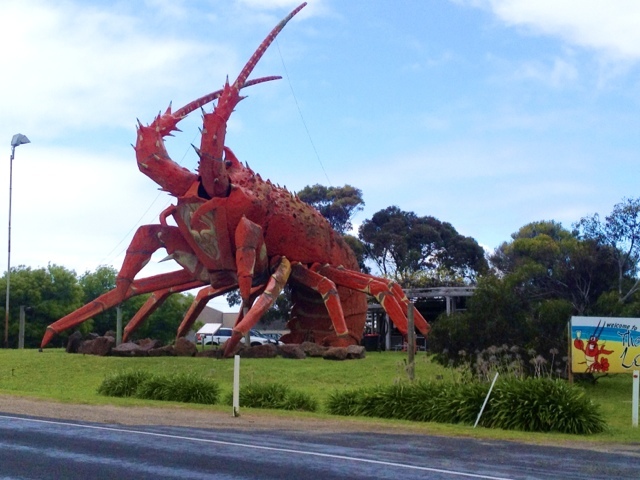 What better to start it off than the Big Lobster of Kingston S.E.